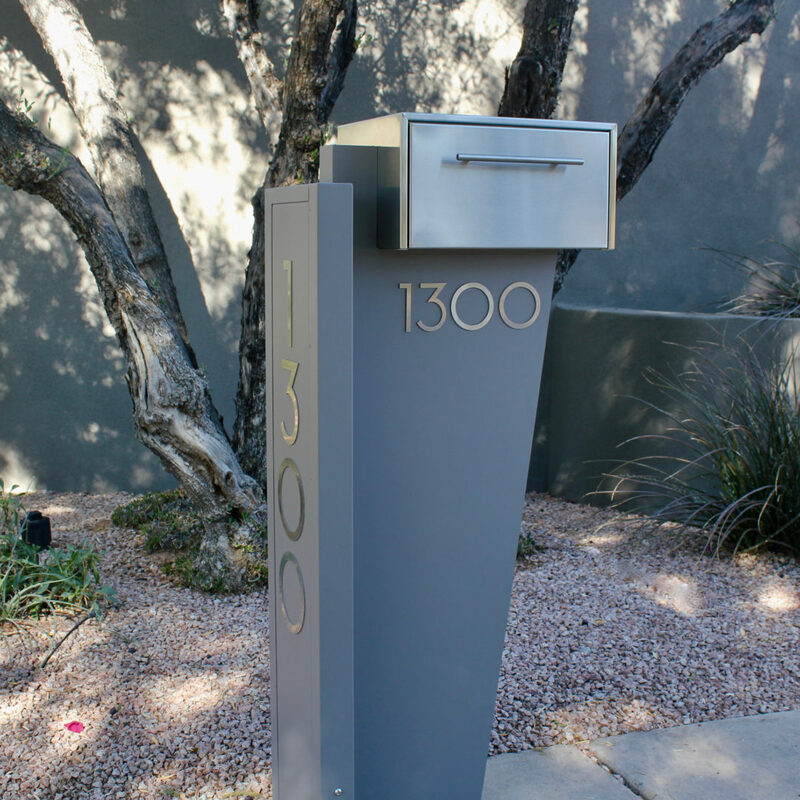 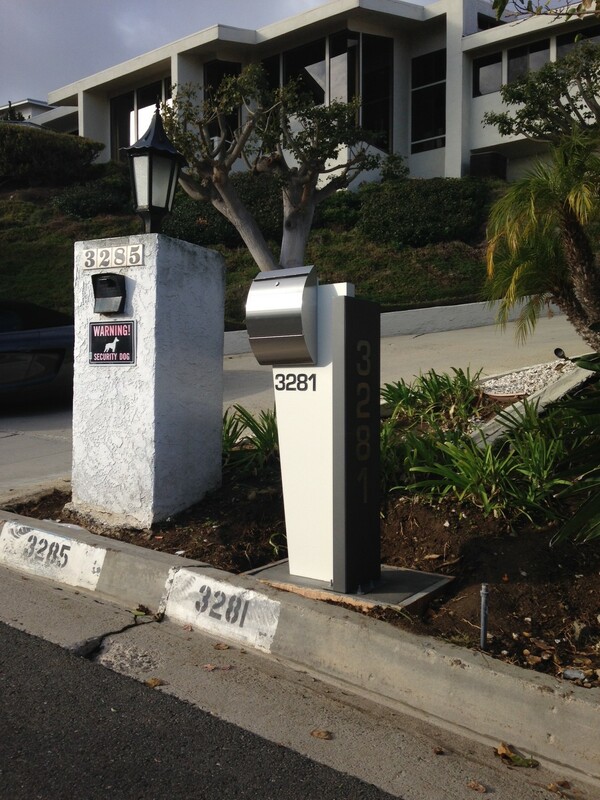 Stunning contemporary curbside unit using our stainless Carsten mailbox (locking or non-locking). 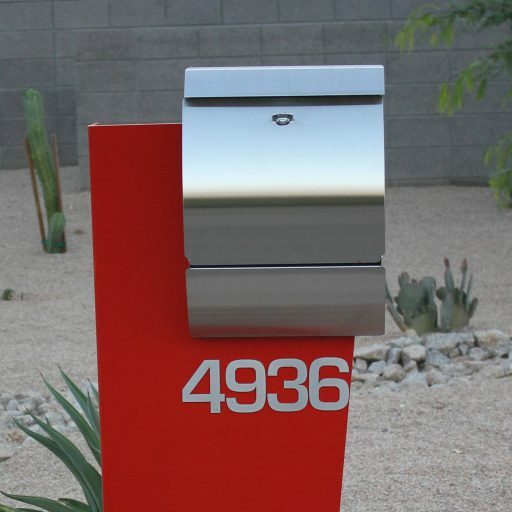 Address numbers (2 sets) are stainless also. 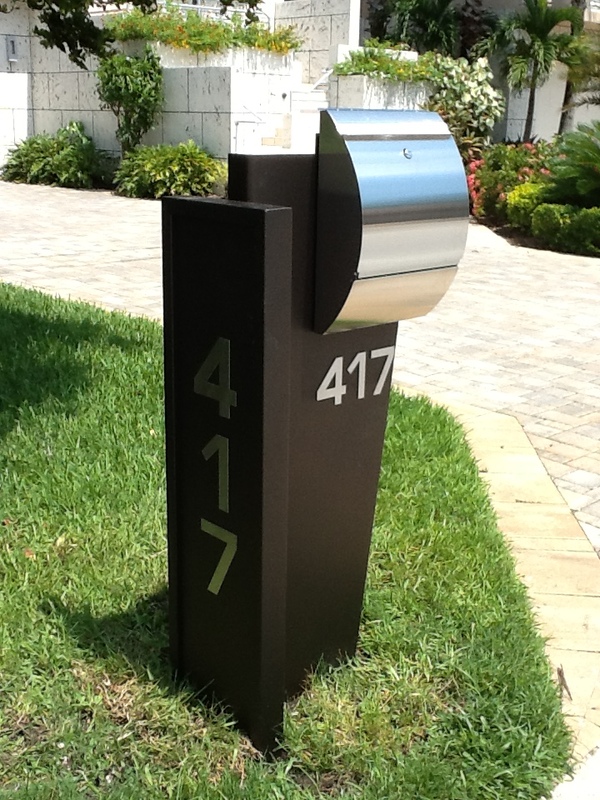 Stand is powder coated aluminum in the color of your choice. 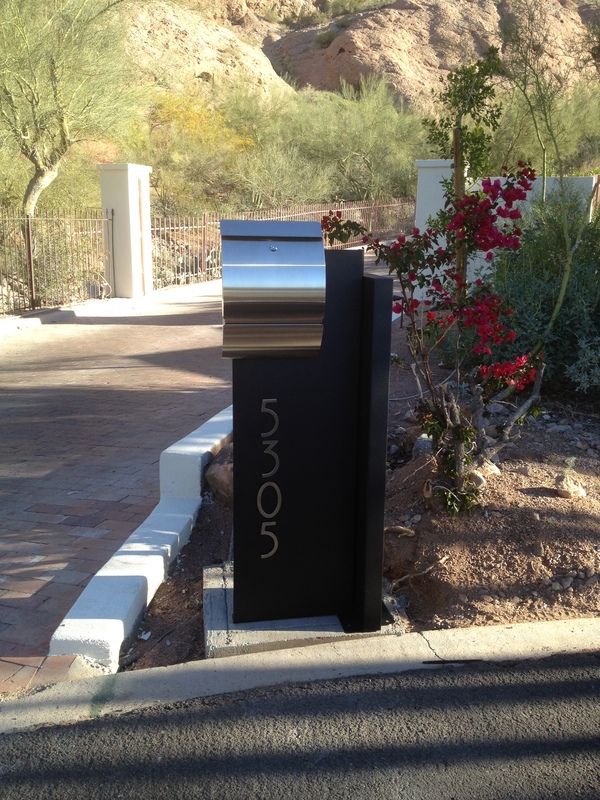 It’s a head turner! 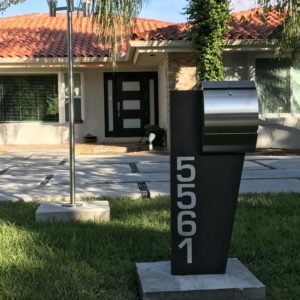 Dimensions are approximately 21″ W at top, 53″ to top of mailbox, and 12 ” D. You can get it as shown or the mirror image (mailbox on the left). 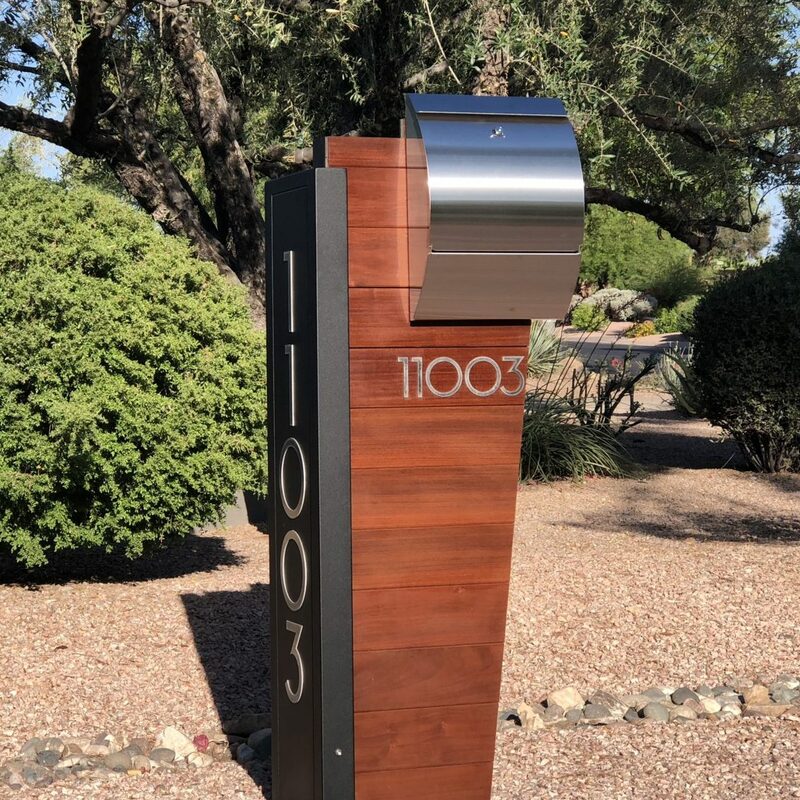 Please call to order this unit.